The last model of the C=64 to be sold was the 64 G. It had the original "breadbin" case, but the color was much lighter, pretty much the same as on the 64 C model. The keyboard could either be the original black model with graphical symbols on the front side of the keys or the cream colored c-model type with the symbols on top of the keys. It seems that Commodore just tried to use up all the parts that they had in stock which resulted in all kinds of weird color combinations. The motherboard was always the new small one with integrated SID-chip resulting in quiet and bad sound and MOS 8500 processor which caused some compatibility problems. Some of these machines were made from C=64GS game console parts when the console bombed. Most were sold with a game pack (some magazine adds show the same game module as with the GS) and was marketed almost as a pure game console which just happened to have a computer in the same package. The G-model kind of replaced the horrible GS. Build quality is not very good, especially the case feels quite brittle. The model sticker says "Made in W. Germany", but the motherboards were probably made in Hong Kong in the same factory as the c-model machines and only final assembly was made in Germany. The machine was probably only aimed at the European market. The G-model was clearly a final cheap gaming computer that Commodore made to get rid of the huge stocks of C=64 spares and GS-parts. 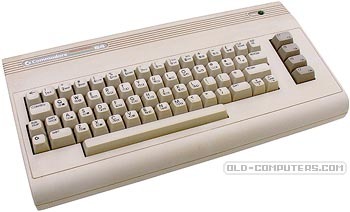 It was sometimes also named c64-III or C64 BN/E. see more Commodore C64G Ebay auctions !